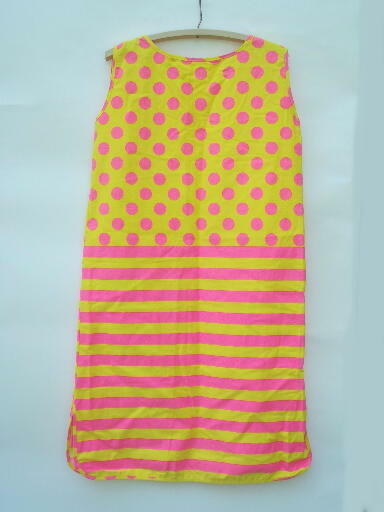 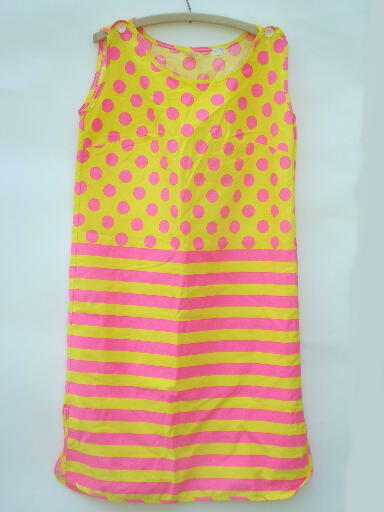 60s vintage all cotton shift dress in bright bright pink and yellow, very retro. 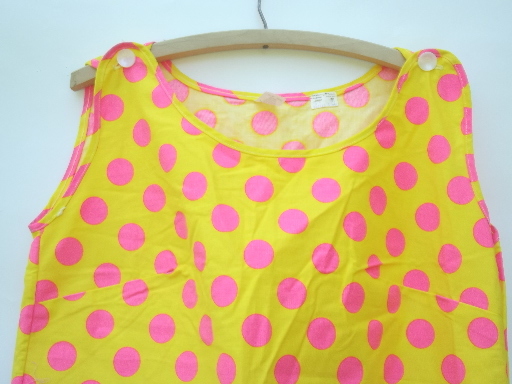 It&apos;s never been worn, laundered (or ironed!) 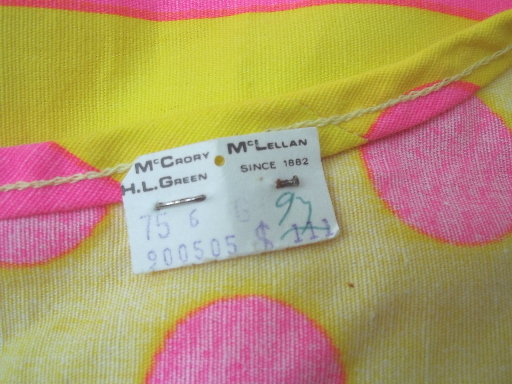 and has the original paper tag pinned at the neck. 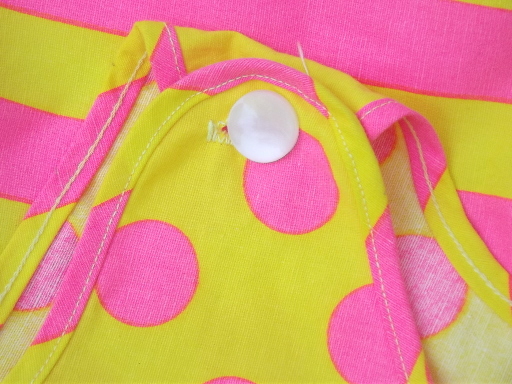 Garment measurements are 41" at the bust, 39" long from the shoulder. 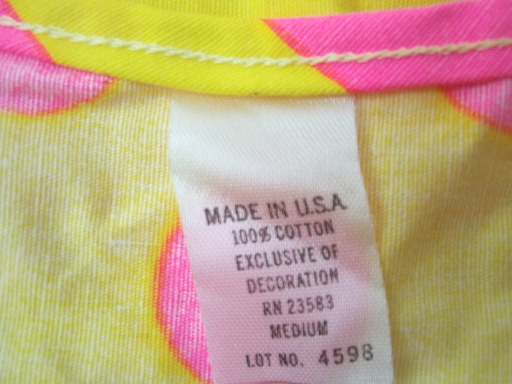 The vintage size label is marked a 14.